It’s difficult not to wish my life away these days. Since Berkay went into the army I’ve been ticking the days off my calendar but wanted something more visual to see the days ticking past. While I was looking around on Pinterest, I found a brilliant idea that someone had created while her husband was deployed in the US army, and decided to create my own! 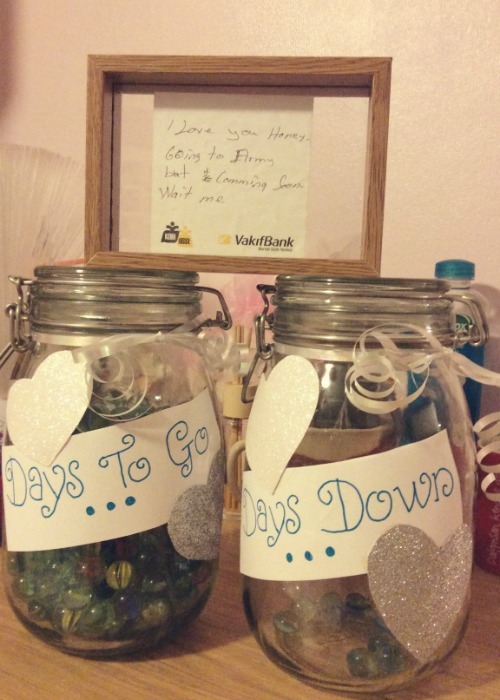 These are my new ‘countdown jars’ , sat on my chest of drawers opposite my bed reminding me of how many days I have left. 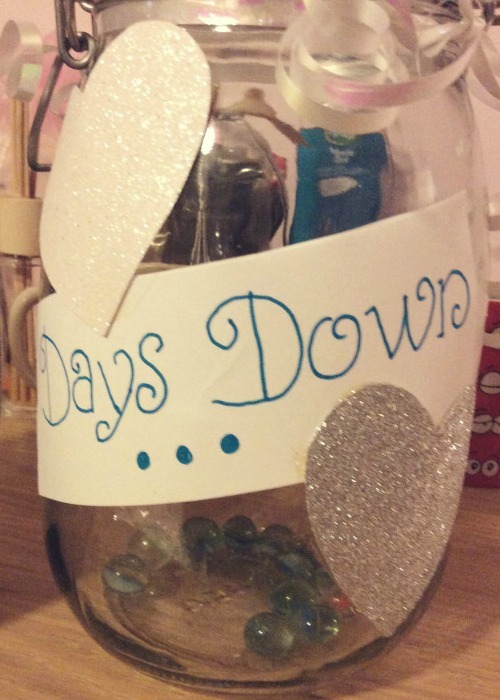 The ‘days to go’ jar is full of marbles, one for each day of the year Berkay will be gone, and each evening I transfer one of the marbles from that jar into the ‘days down’ jar. At the moment I only have 15 transferred over, as he’s only been gone 15 days, but as the days and weeks pass it will be exciting to see the number of marbles in the ‘days to go’ jar decreasing! 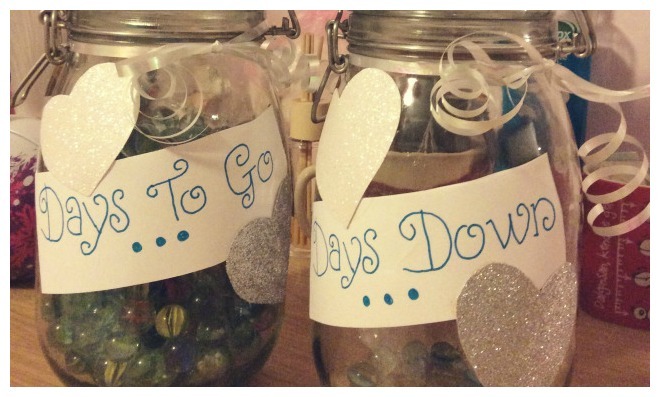 I’m sure a lot of us have countdowns to something, a special date, birthday, perhaps a holiday to Turkey? 😉 You could try making your own, it doesn’t have to be marbles, it could be jelly beans, stones, seashells….I think it’s something kids would enjoy, my little sister comes to me in the evening and asks to help me with the marble and understands that it’s for ‘Berkay in the army’! Bless her. 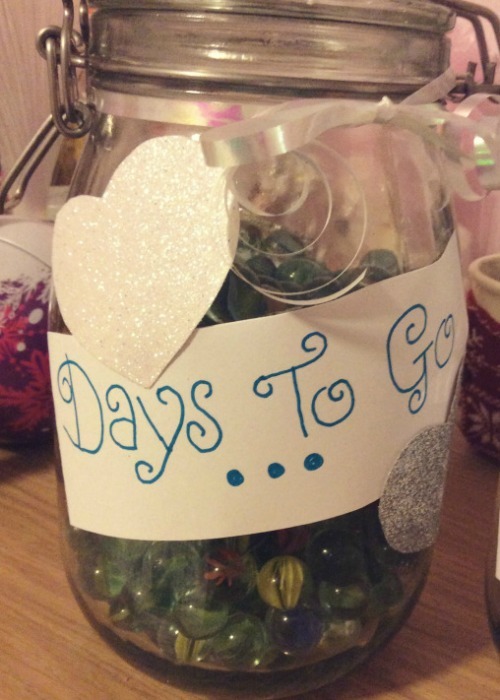 And as tough as it is looking at how full the ‘days to go’ jar is.. It’ll only get more exciting as it gets emptier!